Place is good for a short stay. Basic breakfast is included. 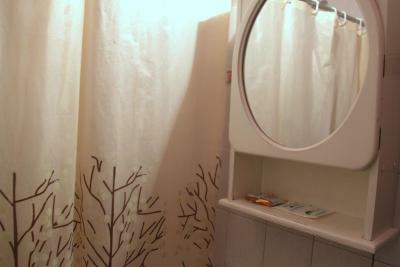 Maybe it's not the most beautiful hostel, but it has everything you need. Personel was super nice and helpful. The place is very nicely laid out and clean if a little stark. Ambiente confortable y familiar. Cordial atencion. La limpieza y la atención de los empleados.Todos muy amables y serviciales. El desayuno todo bien, me hubiese gustado que incorporen variedad de frutas. La ubicación muy tranquilo, iluminado. La amabilidad del personal y la posibilidad de poder utilizar el comedor y la sala de estar cuando uno quiere o necesita. 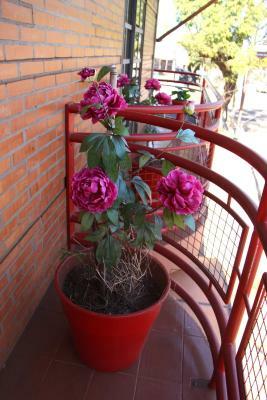 Featuring a garden, Hosteria Maryland offers free Wi-Fi and Continental breakfast in Posadas. 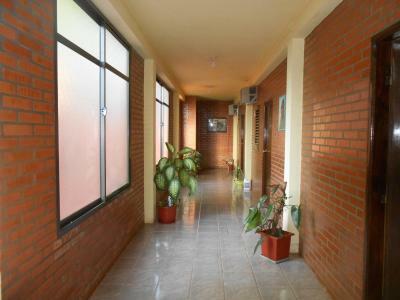 The inn is located 1.2 mi from General José de San Martín Airport and the bus station. Providing a tranquil environment, the rooms in Hosteria Maryland feature air conditioning, TVs, telephones and private bathrooms. Guests at Hosteria Maryland are welcome to use the common BBQ facilities. 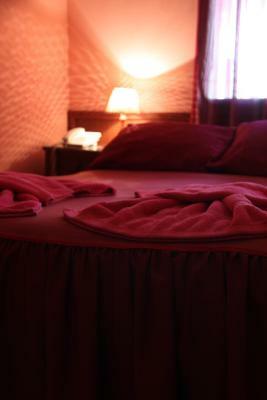 The 24-hour front desk can arrange laundry services. 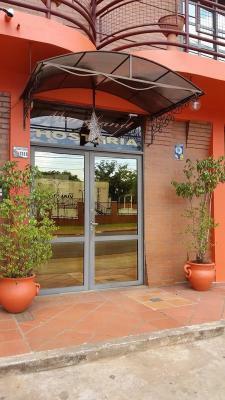 Hosteria Maryland is 1.1 mi from 9 de Julio square and from the commercial center. Free private parking is possible on site. 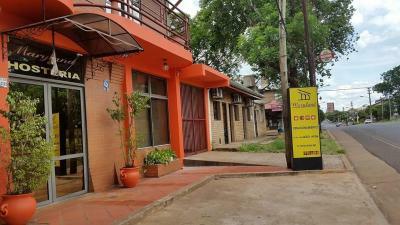 When would you like to stay at Hosteria Maryland? 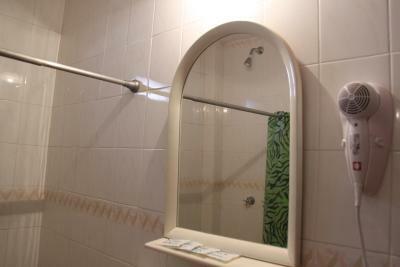 This room features air conditioning, TV, telephone and a private bathroom. 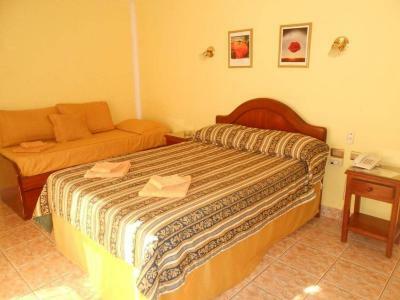 This spacious room features air conditioning, TV, telephone and a private bathroom. House Rules Hosteria Maryland takes special requests – add in the next step! Please inform Hosteria Maryland of your expected arrival time in advance. You can use the Special Requests box when booking, or contact the property directly using the contact details in your confirmation. Very humble, noise AC, pre historic TV set, cramped rooms, you get what you pay. WiFi did not work in the room. Too far from town although there is a good municipal bus service. Breakfast was meagre with stale breads. No facilities to pay by credit card, you have to pay cash.